Tannin s are dissolved decayed organic matter generally found in shallow well and surface waters like lakes, rain-fed streams etc. Some water sources carry tannin all year round while some may have tannin only seasonally, particularly in the spring and fall run-offs. Though not a direct health risk, tannin s impart a yellow or tea-color to water, making it aesthetically unpleasant and reducing the efficiency of ultraviolet disinfection systems. Further, tannin s can bind iron organically; make it extremely difficult to be removed by conventional methods. Rainfresh ETFE system removes tannin from water by the principle of anion exchange. It features a high grade tannin -specific resin with low amines to reduce tannin s. The system is located after sediment/iron filters/water softeners, but before UV systems. 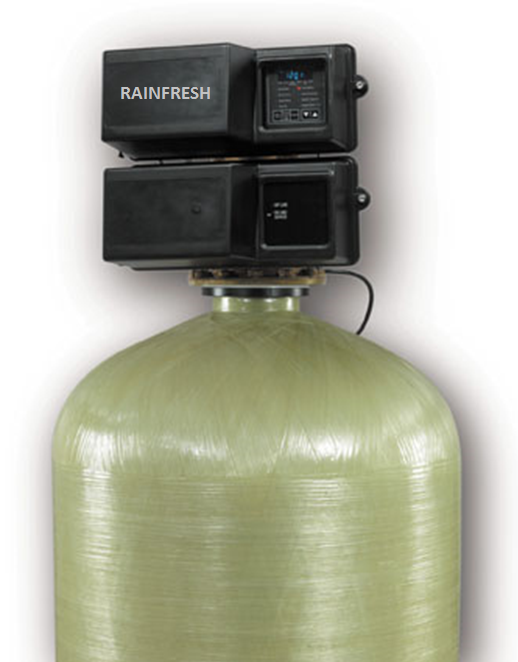 To order or receive a quote on Rainfresh Commercial Tannin Filter, please call Rainfresh technical support at 1800 667 8072. Commercial tannin filters remove tannins, that are dissolved decayed organic matter generally found in shallow well and surface waters like lakes, rain-fed streams etc. Some water sources carry tannin all year round while some may have tannin only seasonally, particularly in the spring and fall run-offs. Though not a direct health risk, tannins impart a yellow or tea-color to water, making it aesthetically unpleasant and reducing the efficiency of ultraviolet disinfection systems. Further, tannins can bind iron organically; make it extremely difficult to be removed by conventional methods. Rainfresh ETFE commercial tannin filters removes tannin from water by the principle of anion exchange. It features a high grade tannin-specific resin with low amines to reduce tannins. 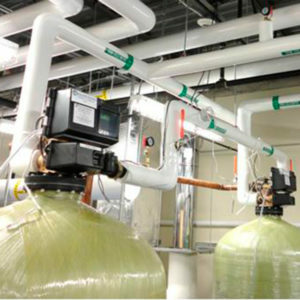 The system is located after sediment/iron filters/water softeners, but before UV systems. 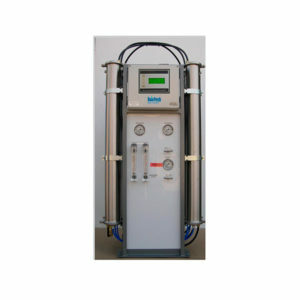 Commercial tannin filters are based on the technology of anion exchange. The media tank has a tannin specific anion resin that selectively removes tannin without releasing any amine smell. The resin regenerates with regular softener salt (chloride portion of the salt) which is readily available at most outlets. The discharge from the tannin filter is simply diverted to drain or septic beds. 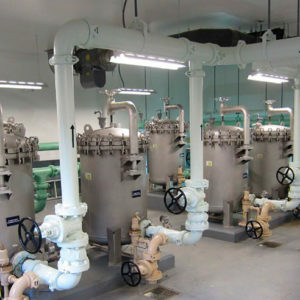 One thing of note is that because of the anion exchange process, commercial tannin filters reduce the pH of the water which must be closely monitored to ensure that the pH stays within permissible limits . 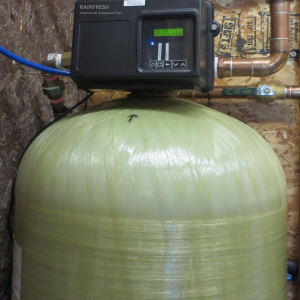 Residential tannin filters are also available from Rainfresh using the same technology. These can be viewed here.